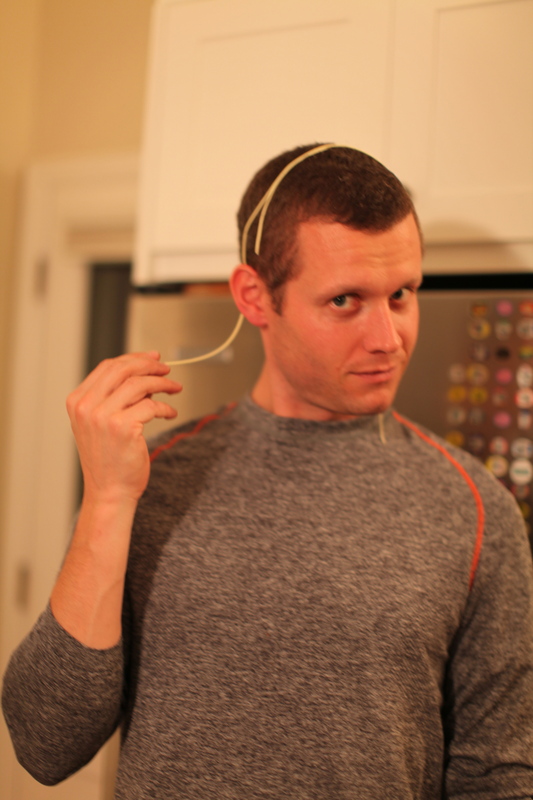 My husband has turned out to be the pasta making master of the family. 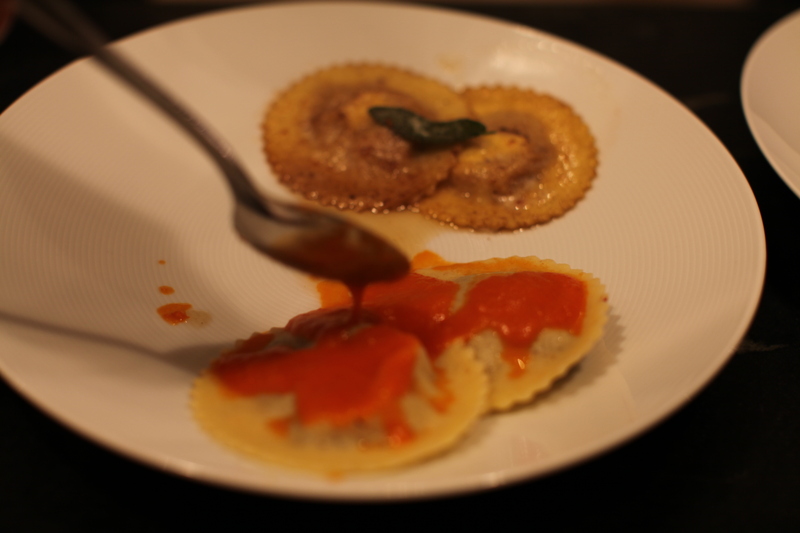 He was inspired to try out a few ravioli recipes tonight from the Il Viaggio Di Vetri cookbook. One was a butternut squash with goat cheese and walnuts in a brown butter sauce. 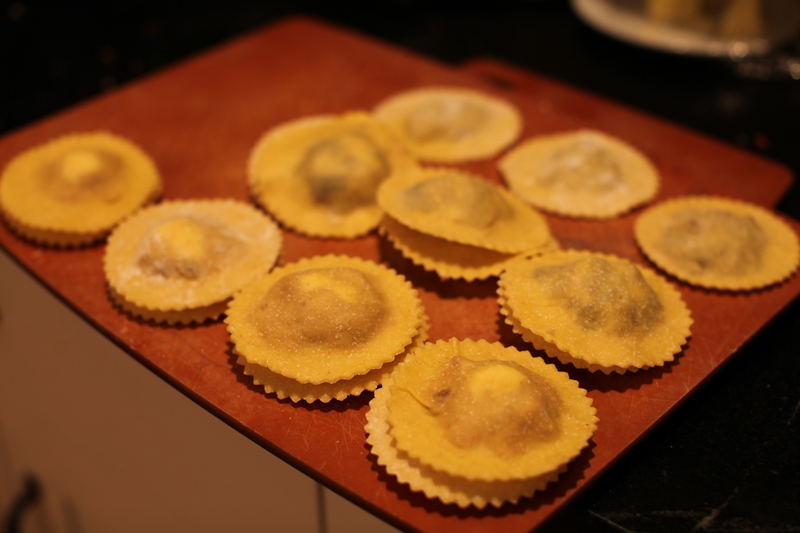 Another was an eggplant ravioli with goat cheese and tomato fondue and the last was a mushroom and sausage ravioli. They were all amazing. 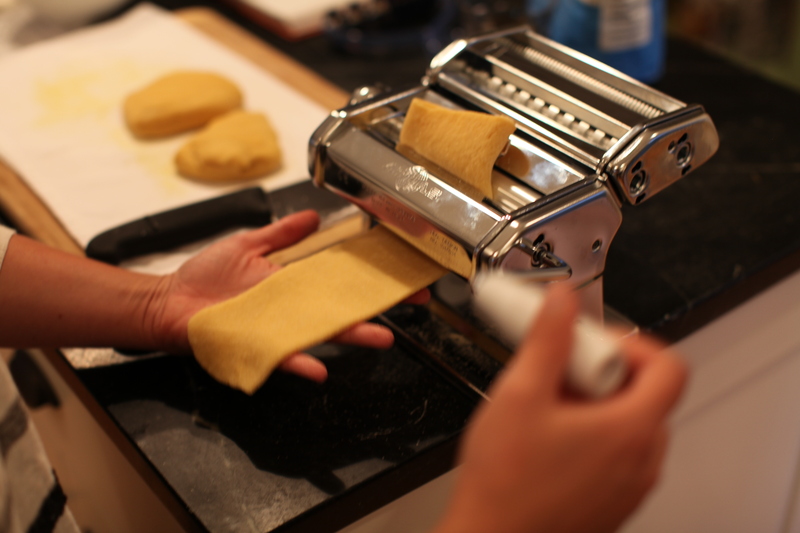 I served as the pasta roller which I am getting pretty good at. I think the longest time went into making all the fillings. 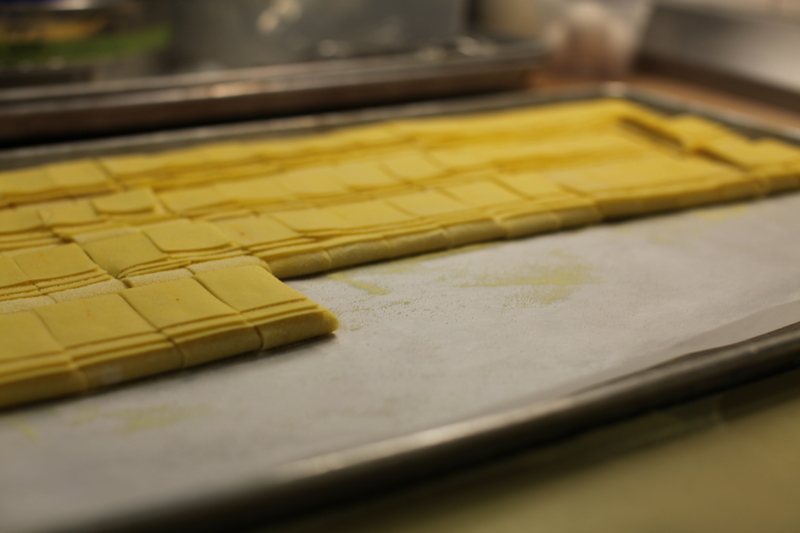 The ravioli themselves came together pretty quickly. I don’t know if it was beginners luck or what, but they all turned out great. I was partial to the butternut squash since it’s like a little pillow of autumn. 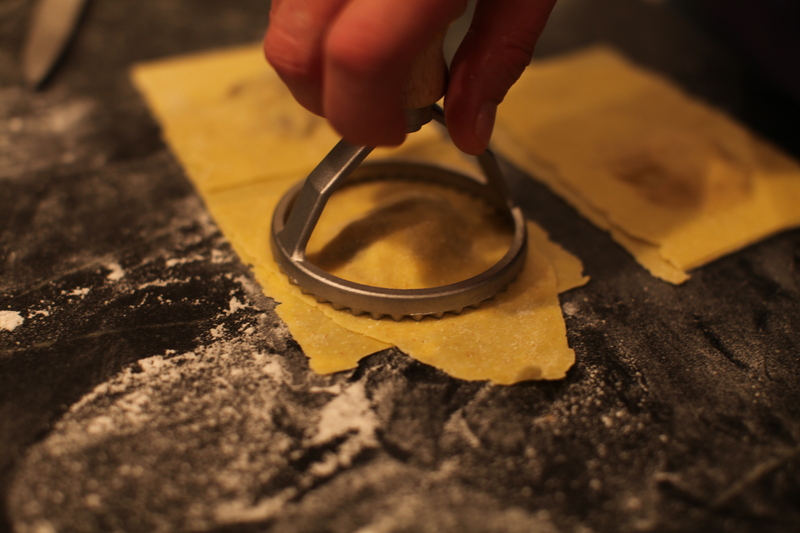 Pappardelle is one of my favorite types of pasta. There was a place I used to go to in LA all the time that had an amazing pappardelle dish with smoked duck and porcini. 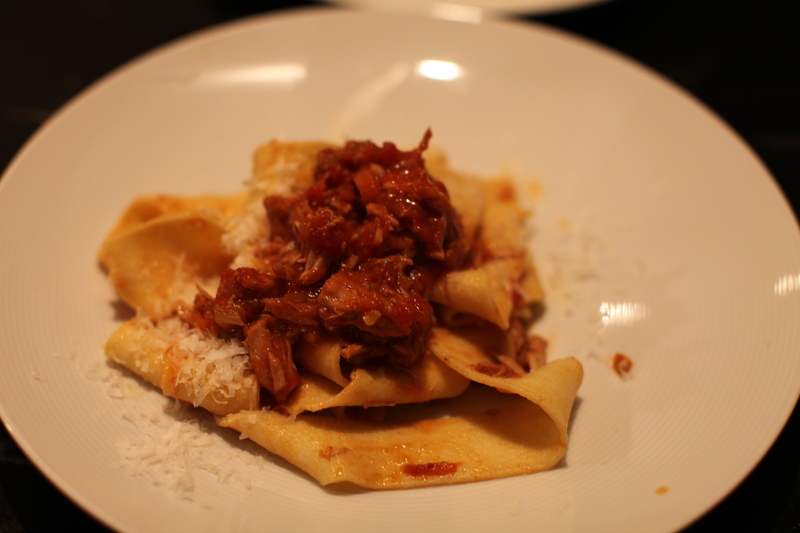 Last night my husband made a delicious pork ragu. It definitely made up for my first attempt; not bad but needs some work. 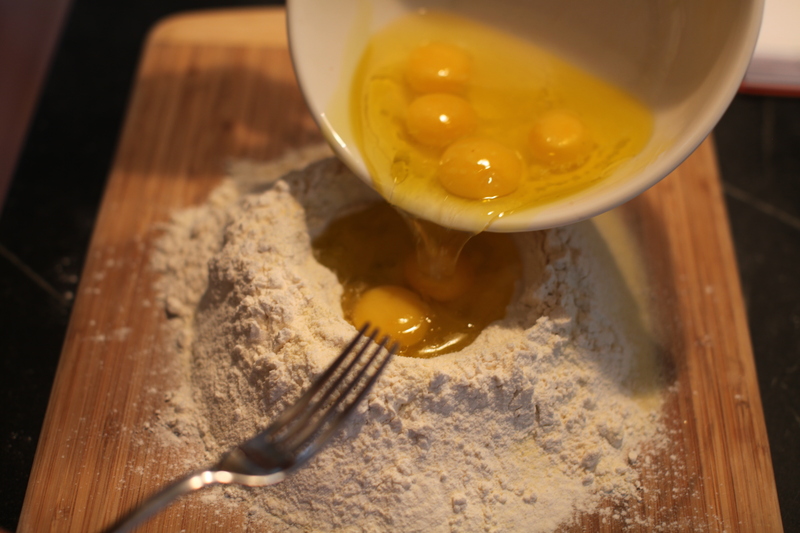 This was my first time making pasta dough with egg. My well of flour didn’t quite hold up but it didn’t run all over the place at least. After kneading the dough for about 5 minutes I let it rest for a half hour. 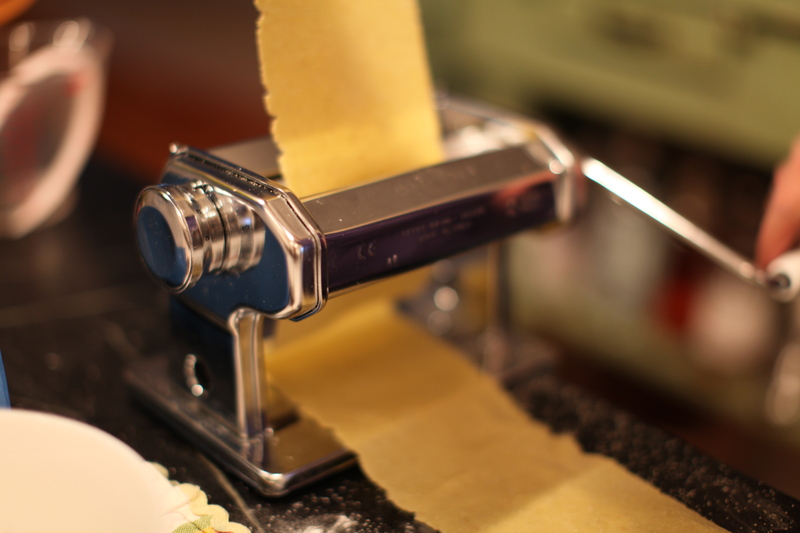 Then it was time to break out the new pasta roller, the Marcato Atlas 150 for about $70. This was the tricky part for me. 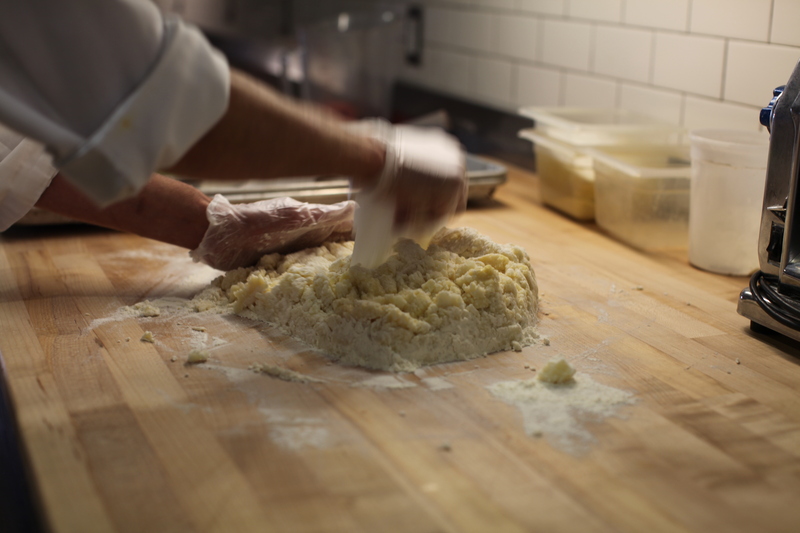 It’s hard to know what size and shape of dough to put in. 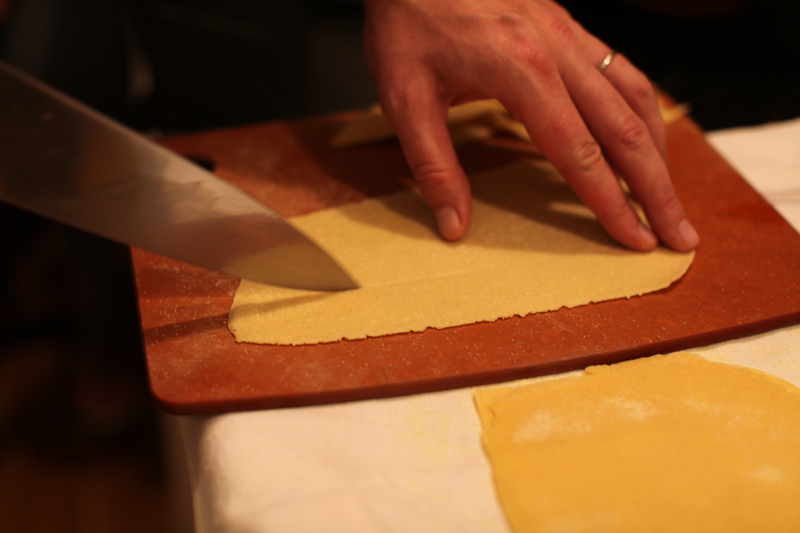 You then fold it in thirds and add flour passing it through multiple times. It’s hard to manage the shape of it. I think this just takes some practice. By the end I had slightly more uniform sheets. My dad pitched in on the cranking after awhile. 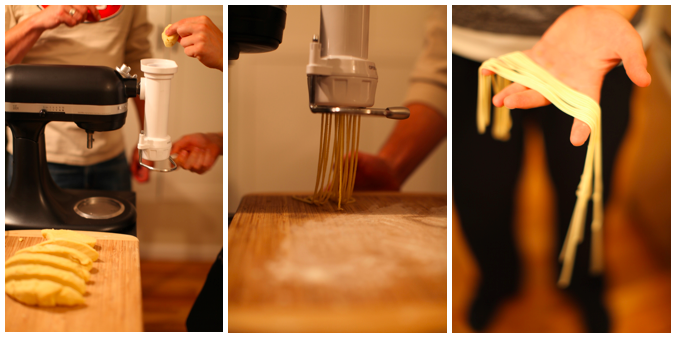 It seems like when you’re making pasta everyone either wants to watch or do some small task. It’s definitely a good group activity. My sheets all came out in different sizes, so my husband cut each one individually. 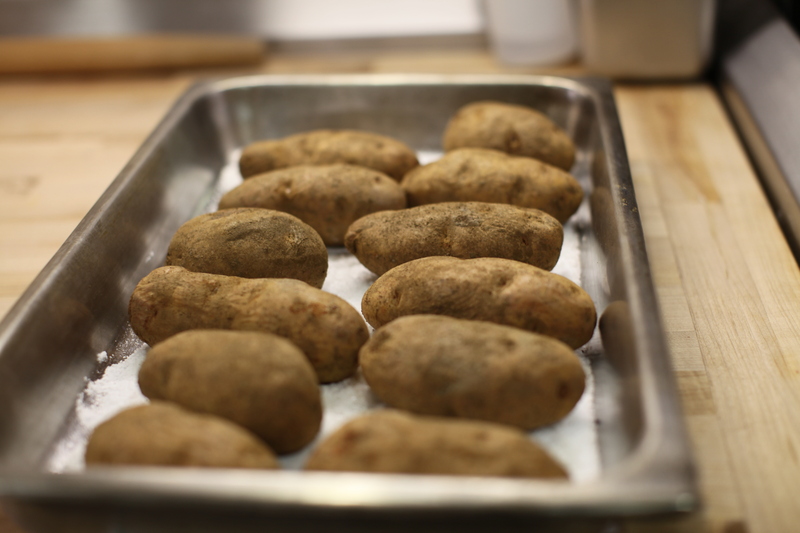 He also did a test run boiling them. Some thought they were a little too thick while others thought they were pretty close to the right thickness. I was just glad they were not only edible, but pretty delicious. I think when it comes to making and eating pasta everyone has their own preferences on things like that. For my first time I was pretty happy but I need a lot of practice. Tonight we take on ravioli. 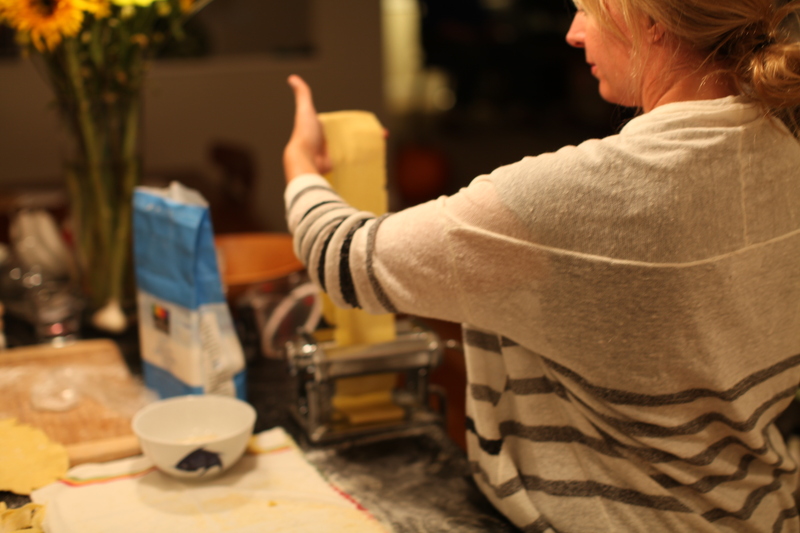 Last night was a fun night of pasta making with friends. 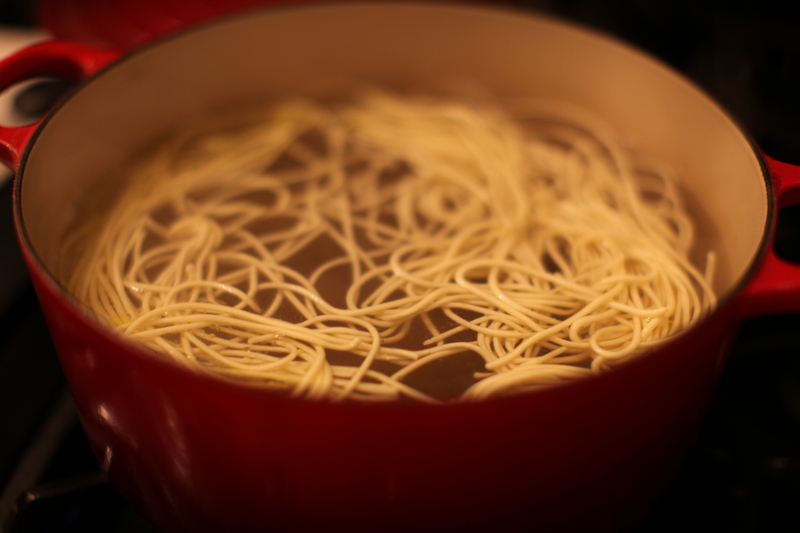 We had a little Monday night football and spaghetti production. 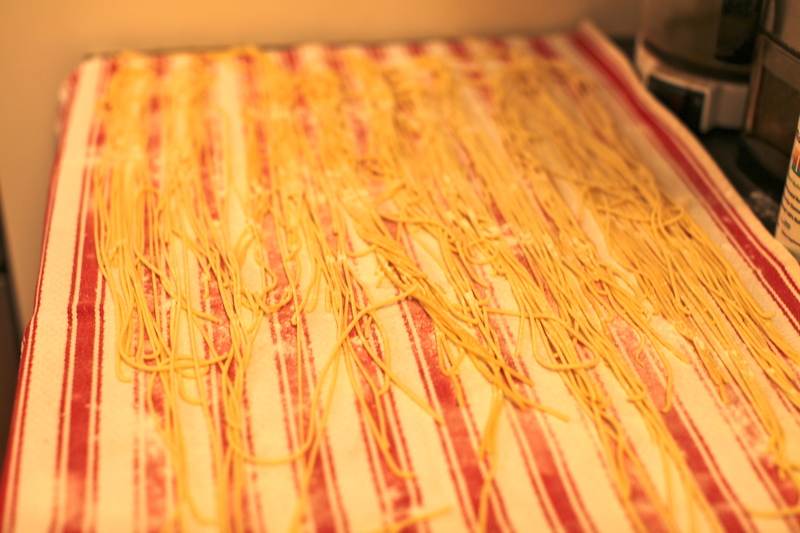 I’ve always wanted to learn how to make my own pasta and it was surprisingly easy to make (spaghetti at least). 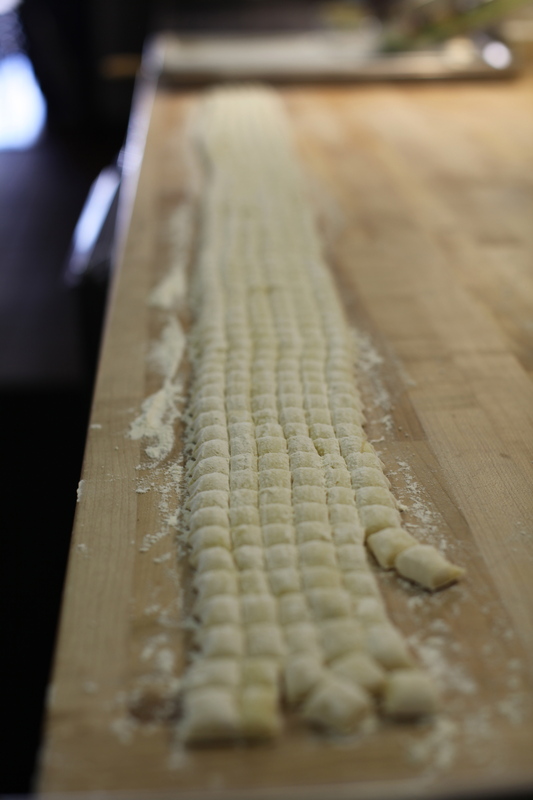 It was just two simple ingredients to make the pasta dough: semolina and water. 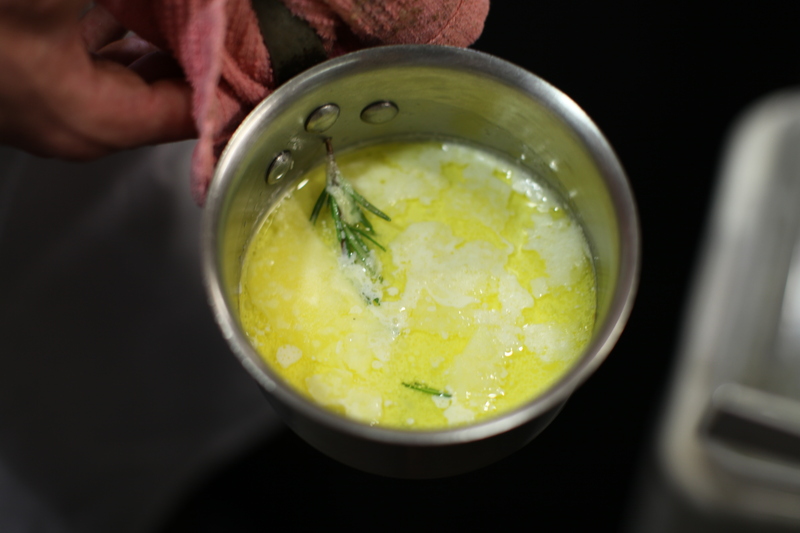 You take 2 1/2 cups of semolina and add 1/2 cup plus 1/3 cup lukewarm water. All purpose flour is good to have on hand for dusting. 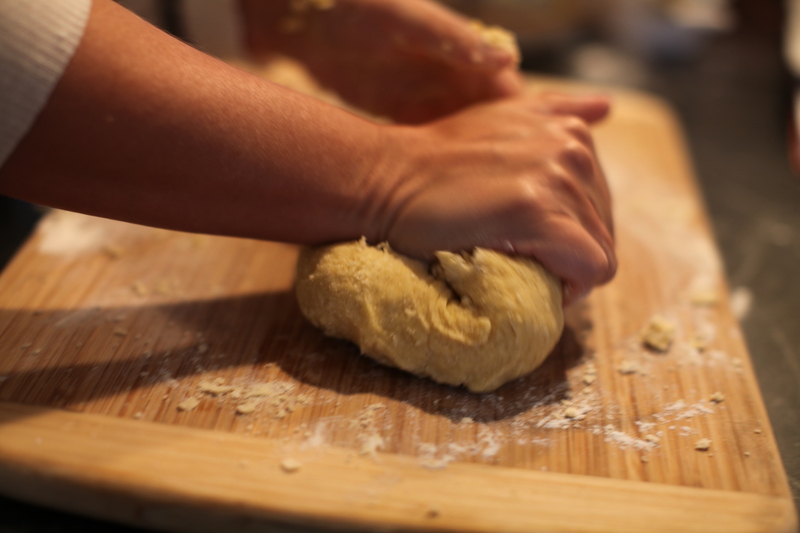 You start by mixing the dough and water until it is crumbly and then transfer to an un-floured surface to knead the dough for about 9 minutes until is is smooth and elastic. The dough then sits in a dusted glass container for 30 min covered. Now the past fun begins. Somehow we found ourselves pushed out of the way by our husbands in terms of the spaghetti production. I guess it had the right amount of gadgetry to it. We were using my friend Jess’s KitchenAid attachment which makes it pretty easy. You just take small segments of dough, drop them in and the machine does the rest. You just cut it off when it gets long enough and set it aside on a dusted surface to dry a bit. It just took about 4 minutes in boiling water with a little oil & salt and it was done. 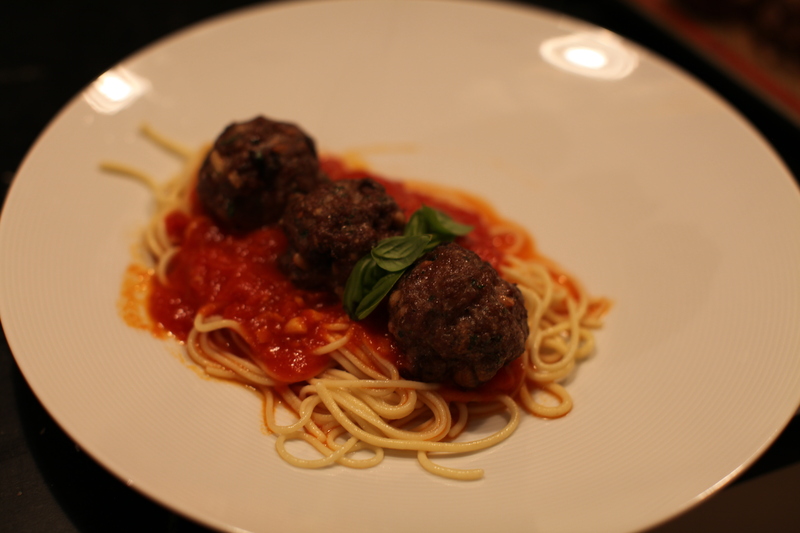 What better accompaniment to homemade spaghetti than homemade meatballs & sauce? Jess made her mom, Deborah’s favorite meatball recipe along with her San Marzano tomato sauce. Between the pasta and the meatballs it was an amazing meal. 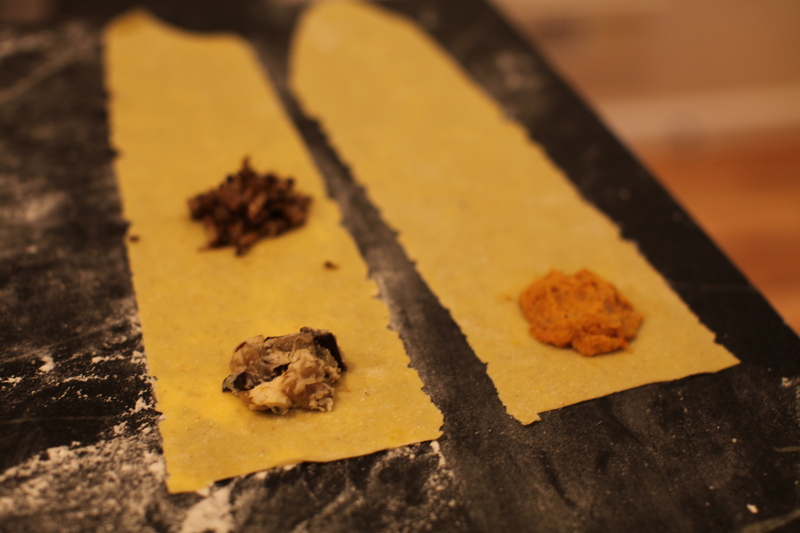 Homemade pasta really does taste so much fresher. You are currently browsing the 41 pasta! category at 52 To Do.